First of all let me say that I love Christmas. There is such a wonder feel but when it comes to books about Christmas not so much. Secondly we are talking about Ms. Trentham and I love her Cottonbloom series. Since I read the first book I have been waiting for Kayla and Jeremy’s book. Jeremy Whitehurst lived in Falcon and has had a hard past and has made some mistakes. He tries to move on but lives with what he’s done. He hasn’t ever had a proper Christmas. He has feelings for Kayla ever since he saved her. But thinks he isn’t good enough for her. He is a bit of a Grinch though. Kayla Redmond loves Christmas and she has also had a crush on Jeremy for a very long time. She gets a job at Fournette’s Designs as an accountant. They can’t avoid one another anymore and they become closer with some stolen kisses until the dam breaks. This is a sweet story, with some spice and I feel good Christmas romance. Well done Ms. Trentham. Before you read this book I can only recommend that you read the other two in the series. Am I a fan of second chance romances? No. Did this work for me? Yes. Regan and Sawyer were sweethearts what they had was the real deal but with a lot of things in life it didn’t go as planned. Sawyer the swamp rat and Regan Lovell the sip couldn’t have come from more different worlds and yet they were the only ones they let their guards down around. She would love Sawyer Fournette forever. A lot has changed in eleven years. How do you get over the betrayal of the past? With great difficulty but if it is true then it will work out. The first cut of betrayal is always the deepest and the one that shall forever show a scar that will never cease to exist. We experience how Sawyer and Regan try to deal with past hurts. Should they be buried in the past? But when it all boils down to it isn’t the past that counts but the future. On top of that to improve Cottonbloom they have both entered the same competition. Heart of Dixie magazine caught wind of them both entering the festival to win the prize money. So what to do well pit the Louisiana Cottonbloom and the Mississippi Cottonbloom together and see what happens. Turns out a lot can happen in one summer. They wanted to play up the decades old rivalry. In the end they team up together to find the culprit who is trying to sabotage both of the festivals. Misunderstandings and immaturity but not fate had doomed them to nearly unhappiness. But they work it out. Even if it is hard and past hurts have to be put aside you know. I didn’t expect them to make each other jealous. Mistakes are made once again what had my blood boiling the most was that they could just have talked sooner but no lets our insecurities get in the way. She had once been in love like Monroe. She had walked around pooping rainbows and smiling at rain. It was a once-in-a-life-time kind of thing, and she’d lost it. Now I might compared to other reviewers be harsher but I’ll tell you exactly why I gave it 4 stars, Regan! Seriously woman what is your problem? There were just some occurrences in the book where I could have smacked her. She made exactly the same mistake as a grown woman as when she was a teenager and this is where I could have hit her. They pinkie swore. Pinkie swears are to be taken very seriously. What she saw wasn’t what happened and well her mother is something else alright trying to stick a wedge between the two. In some ways Regan was still that teenage girl as well as Sawyer still being the teenage boy. Some have to fight tooth and nail for what they want. The echoes of the past are always strong especially when you live along the only person that you ever loved or in this case still love. There are absolutely hilarious moments in the, it all comes back to the rabbit kafuffle. The pillow massacre but there are serious moments in the book as well there is the pavilion incident. The crayfish basket vandalism. A teensy weeny bit of B & E to keep things exciting. This is the end to a fantastic series and it went out on a bang. An emotional rollercoaster ride to a wonderful series. A farewell to a beautiful town filled with all sorts of characters. Not only is there a reuniting of the couples that are meant to be but a town that should have never split in the first place. I couldn’t have said it better Sawyer. This reminds me of Friends with Ross & Rachel. “Techically, you were on a break” Sawyer’s laugh was humourless. “That excuse has failed through the ages. I didn’t even attempt it.” Stand-up guy there Sawyer. He is a softy between the rough edges. Even friends and family see what they can’t. I would go all cougar on Jeremy. He has a chip on his shoulder and can’t seem to catch a break in life but I know his time will come. 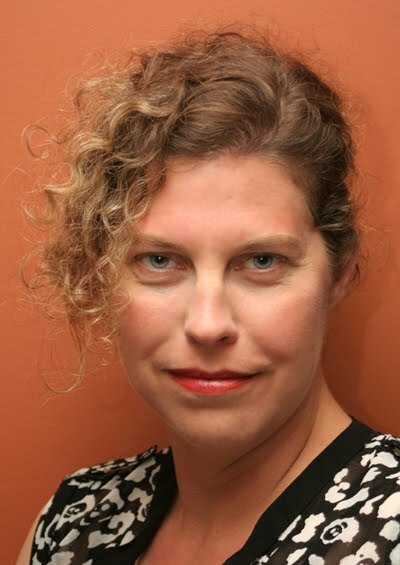 Ms. Trentham will give him all the love that he desires and needs. To get the creativity running I listened to Winning Streak by Glen Hansard. Bang Bang by Lawrence Taylor. 7 years old by Lukas Graham. Picture by Kid Rock featuring Sheryl Crow. Twist the Knife by Leslie Clio. A feel good vibe, with great in-depth characters. Where the story is as beautiful as it equally is frustrating. Where I laughed, smiled & squeezes out a tear or two. We’re back in Cottonbloom peeps, where there is more than just a physical separation between Louisiana and the Mississippi ‘Sips and the blue collar swamp rats. I’m for the swamp rats. Two childhood friends split due to tragic circumstances. But as grownups they meet again. This is a friends to lover’s story. Nerdy Nash Hawthorne isn’t that nerdy anymore. He is more like an old school Indiana Jones. Yum! He has come back to Cottonbloom as a professor at the college and because of his Aunt Leora but there is one more important factor. And that is Tallulah Fournette. Tallulah ‘Tally’ Fournette owns her own business but she doesn’t give herself any recognition to her successes. She puts herself down and really frustrated me. With her problem of dyslexia and self-confidant she has always gone for the rough and tumble men as she never thought that she deserved better. The feeling was something he’d carried with him since before he could remember. He was meant to love Tallulah Fournette. I loved the humour in the book. This story is about second chances, missed chances and taking a chances. About living life to the full of no regrets or what ifs shouldn’t happen. Of overcoming fears and moving on from the past into the future. Of love, of friendship, a sense of community and of making amends. Of letting go. Two of my favourite characters in the book are Birdie & Ms. Effie. “Yes, the thought of your mouth on me gave me an asthma attack. If you actually do it, I might have a heart attack. “There’s one thing on my list I haven’t told you about.” The tease in Nash’s voice had been roughened away. “How am I going to help if you don’t tell me?” Tally couldn’t stop staring at his mouth, and dabbed her tongue along her lower lip. “Could be. Might start a fire even.” He removed his glasses and tucked them into a pocket of his shorts. The moon had risen and his brown eyes seemed to reflect back the meager light. It totally did. Not because she was disgusted or creeped. The opposite. The compulsion to kiss him at the river had almost overtaken her. But this was Nash. Her Nash. Her stomach spiraled in a slow arc of nerves and anticipation. “Maybe,” she whispered, even knowing it was a lie. Every part of her was drawn to him like filings to a magnet. Good sense kept her from confessing her biggest fear. What if she didn’t want him to stop at a kiss? “What if we do like it?” The possibility threw open a door she wasn’t sure she wanted to slam shut or run through. Unlike at the river, the narrow platform offered no escape, and she was glad. She didn’t want to escape, even as the most vulnerable parts of her screamed at her to run. While she was perfectly willing to risk life and limb and trouble with the law, the risk Nash posed to her heart was too great to contemplate. But this was only a kiss—how dangerous could it really be? “Okay.” The word came out as soft as a breath. When it only takes some “small” tracks to bring you on the wrong side of a town – just imagine what it does to someone when you are from the wrong side of a river ? 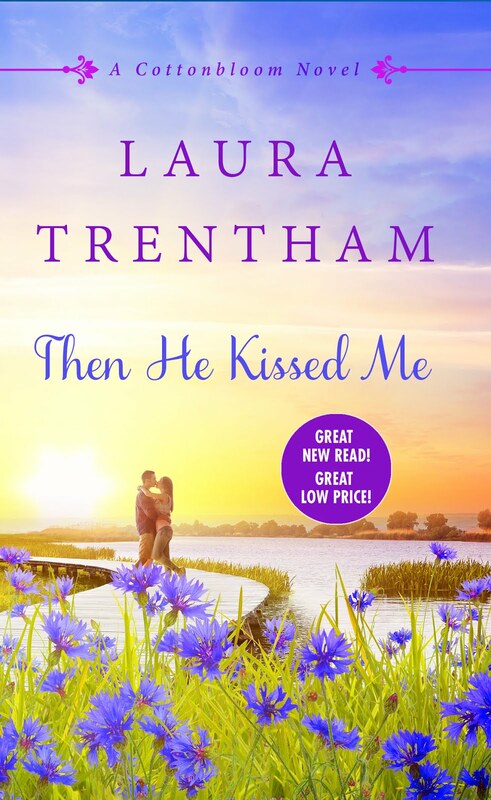 Laura Trentham dives deep into that question with “Kiss me that Way” the start of her new series of “Cottonbloom novels”. It was the first book of that author that I read and I think she really managed to catch all the clichés (in a good way) that you would expect in a wrong side of the track novel. And than she topped it off with a big dose of small town novel. While usually a “wrong side of the track” novel focuses on a certain person, this book/series really shows not only what it does to a person but to a whole town. The story as well as the characters a developed to its fullest and during the flow of this first story it is easy to see where the next stories will lead us. The side characters are almost as well developed as the leading ones so maybe – while this is good on one side – it is also a tad to much on the other. Because it takes the focus of the leading persons and at times I found myself wondering if it was Tally or Sawyer’s story already. It might not be a “light summer read” in my eyes but it is a good story for a rainy autumn day. But in total I liked it and I am looking forward to what is really going on with Sawyer and Tally.